Perfected Exhibitor Management for Event Planners. Perfect for conference managers. Perfect for exhibitors. Perfect for attendees. Exhibitors can add company details such as an address, website, social media, and logo. Exhibitors can upload data such as brochures, certificates of insurance, and booth staff. Agreements to Terms and Conditions can be collected, and designated a required task. 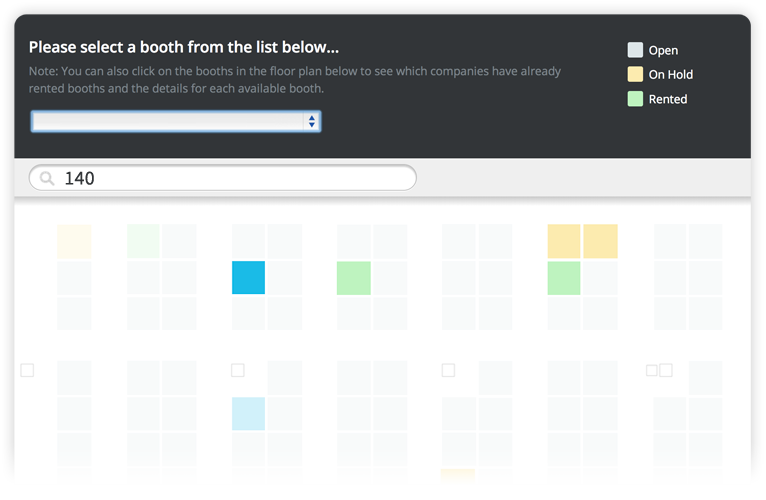 Attendees can bookmark the exhibitors they want to visit, which are highlighted on the map for them. Attendees can tweet, email, and share any specific exhibitor's information with other event attendees. Exhibitor booth locations are highlighted when attendees click on them for easy identification. Booth managers are able to easily move, switch, add, or combine multiple booths. 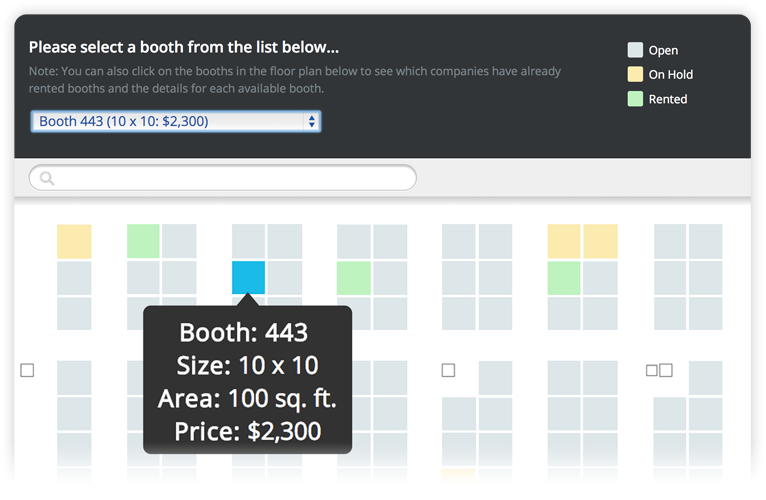 Floor plan options include detailed facility information or a more generic booth overview. Highlight sponsors and other targeted areas of interest with color-coded booths. 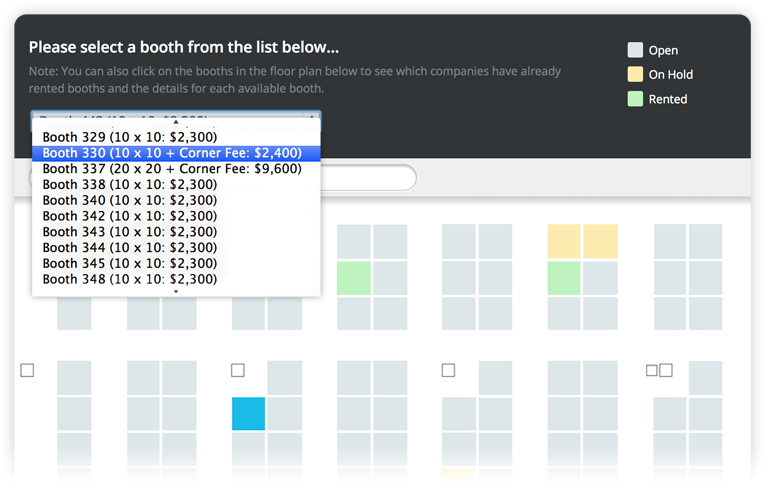 Access the booth purchasing system, which allows online booth selection and payments. Control all transactions and allow booth selections in one place. Floor plans immediately update online and through our native mobile app. Our streamlined process allows exhibitors to purchase booths quickly and efficiently. Floor plans immediately update to ensure accurate representation of booths available.